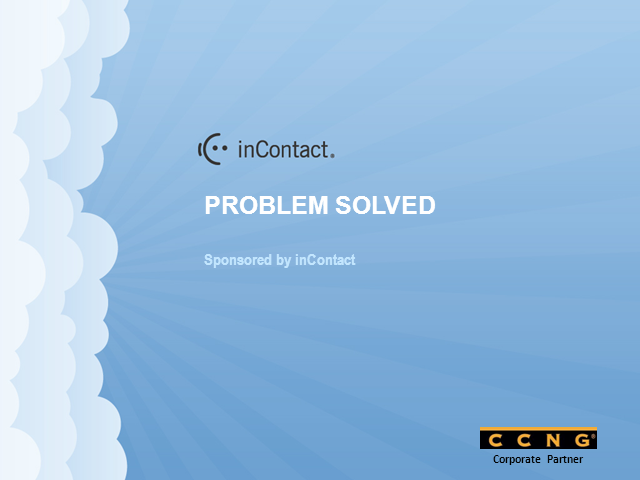 The inContact “Problem Solved” tour brings successful contact center executives and their colleagues together in an interactive and engaging format. During each event, 3-5 contact center executives share challenges and ultimate success with a particular contact center problem or issue. You’ll hear about best practices you can put in place today and how you can achieve measurable results.